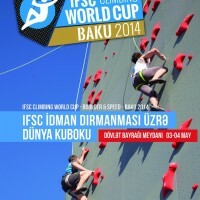 The 2nd stop on the 2014 IFSC Bouldering World Cup circuit took place this past weekend in Baku, Azerbaijan with Russia’s Dmitrii Sharafutdinov and Austria’s Anna Stöhr emerging victorious. For the women, four of the six finalists finished every problem so it came down to who could finish all four in the fewest attempts which is where things got interesting. Anna Stöhr set a high bar early by flashing all four boulders in finals, but when Shauna Coxsey stepped up to the final problem she was poised to beat Stöhr and claim her first World Cup gold medal. Unfortunately, Coxsey was called off the wall on her first attempt for dabbing her foot on the mat, and she had to settle for sending the problem on her 2nd try which dropped her to third place behind Stöhr and Akiyo Noguchi. Also unfortunate was the fact that after placing first in qualifiers and semis, Alex Puccio dropped to 6th position in finals after completing only one problem. For the men it was a reverse of the top two finishers from the previous week in Chongqing with Dmitrii Sharafutdinov taking gold and Jan Hojer taking silver. This puts the pair out in front in the overall standings after two events, but it is still quite early in the season. 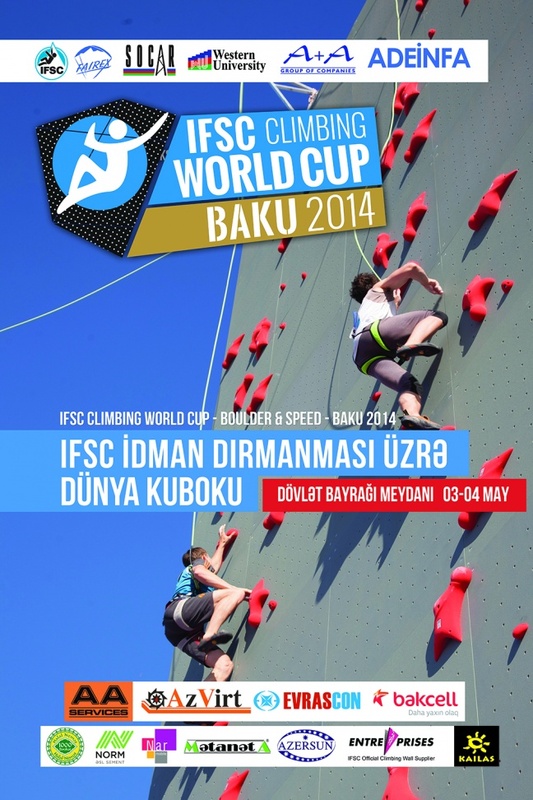 The 2014 World Cup circuit continues this weekend with a stop in Grindelwald, Switzerland where we should see the return of some competitors who did not make the journey these past two weeks to China and Azerbaijan. Stay tuned for more information on that later this week.